Perhaps a title like Senta wouldn’t have worked as well as The Flying Dutchman. Not nearly as much name—or myth—recognition, not nearly as much intrigue. And Senta and the Flying Dutchman sounds like a circus act. But the truth is that this opera is as much about Senta as it is about the man she loves. Both are outsiders—the Dutchman in the form of a refugee who wants to find a way in; Senta in the form of a rebellious young woman who wants out. But neither entrance nor exit is given lightly in this small community. Easier to stick with the status quo; better to stand by, better to conform. 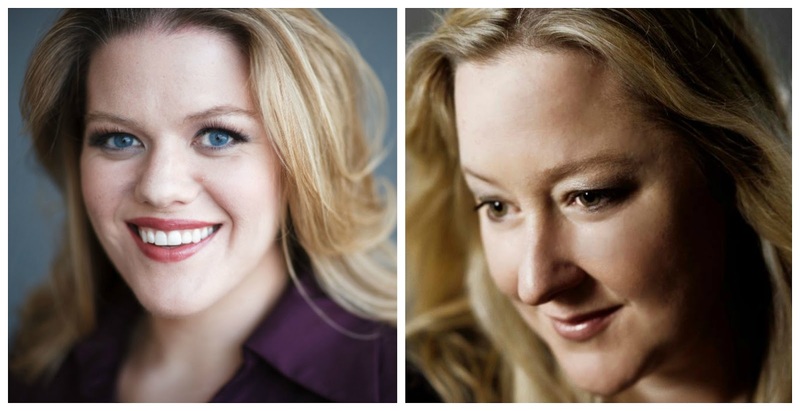 Seattle Opera's Sentas: Wendy Bryn Harmer (left) sings May 8, 14 & 20 and Rebecca Nash makes her company debut May 7, 11, 18 & 21. You’ll see this artistic influence—which Alden admits was a personal influence—everywhere in this production. Senta’s bob (notice she’s the only one who’s got one) is the 1920s hairstyle of the emancipated woman. The Dutchman’s portrait that so captivates Senta is an actual block print engraving, “Man on a Plain” by Erich Heckel (influenced by Edvard Munch). 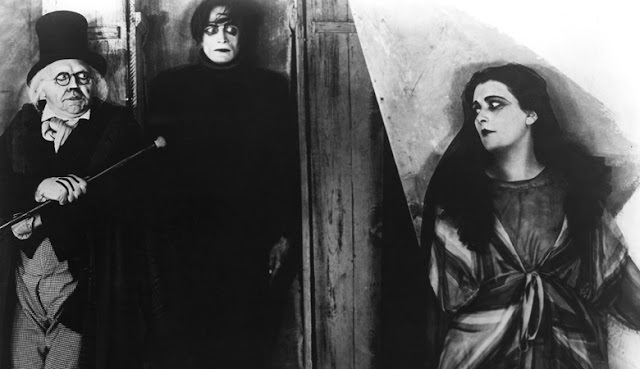 And the exaggerated makeup with charcoaled eyes is a nod to early German film (think The Cabinet of Dr. Caligari) pictured below. And of course Wagner’s music informed the design and concept as well. “Every idea comes from the music,” says Moyer. “It’s as if it’s the manifesto; it’s your brief. You want the set to look like the music sounds." With Wagner the scale of that sound is not small. So Moyer didn’t want to diminish that scale by putting a smaller-than-life boat onstage (a ship on a theater stage will always need to be smaller in dimension than the real thing). He wanted something suggestive—here we go again, something expressionistic—that would provoke the audience’s imagination to match the music’s larger-than-life scale. Alden is interested in taking audiences to that dark territory, beneath the surface level narrative to a place that invokes the subconscious. “Senta is fixated on the way to escape this world,” Alden says. “She lives in the real world but so much in the fantasy world; these two worlds collide as she goes deeper and deeper into her fantasy.” And as these two worlds—the real and the unreal—collide, Alden says there is a “crack”: “And out of this crack come these demon forces that invade reality.” Take, for example, the Dutchman’s entrance in scene two, as if he’s coming from another world, or the moment when the Dutchman’s undead crew puts a serious damper on the sailors’ party in scene three. What are these otherworldy forces supposed to be? Well, Alden and Moyer would rather leave the question open-ended. This piece is not meant to direct you to easy tie-the-end-of-the-knot interpretations. Instead, the idea is to provoke your inquiry. What happens—both to the individual and the society—when the outsider comes ashore? The question persists for Alden, who says he’d like to do a Dutchman that focuses on the plight of modern refugees all over the world as they try to escape their impossible circumstances. The analogy certainly fits. What happens when the outsider comes to our shore? If it is a question that makes us squirm, makes us wonder how exactly we are implicated, perhaps the art is doing its job.